There is a substantial research literature related to C60 buckyballs and their health-producing biological impacts. The research goes back some 30 years and Pubmed.org shows some 1089 publications related to C60 fullerenes. The recent rat study stands on the shoulders of many prior research results and, like all good science, is carefully documented though of too-small a scale to lend certitude that the longevity results will stand up on a much larger scale. Remarkably, of the super-aged rats that had consumed the C60-olive oil mixture and experienced the 90% life extension effect in this study, none contracted a cancer. An earlier study also indicates that C60 extends the life of mice. For it to be biologically active and not toxic, the form of administration of C60 is critical. It tends to clump and dissolves only very poorly in water. Consumed orally in water or olive-oil solutions, C60 appears to be nontoxic in rats and is excreted by the body within days. C60 being a nanomaterial readily penetrates the blood-brain barrier and into cell interiors, mitochondria and the nucleus. It is believed to exercise major effects in mitochondria. C60 can be very biologically active and a body of responsible research indicates it exercises powerful antioxidant, anti-cancer, immunomodulatory, neuromodulatory, antiamyloid, and other health-producing effects. It is being actively investigated as an anti-cancer agent. C60 can have multiple effects in cells: it binds to DNA and can affect gene expression; it can affect protein shapes and cell morphology and geometry; it binds to microtubules and can affect their forms and multiple functions including tubulin polymerization, and nuclear envelope shape. 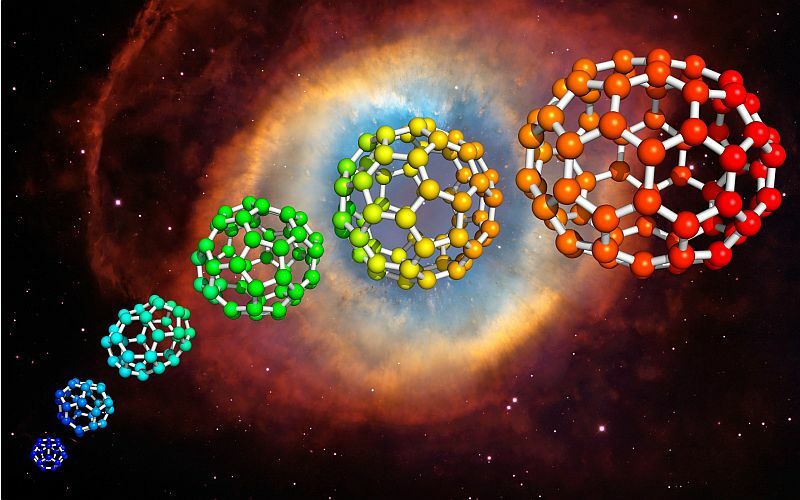 Fullerenes can be employed as targeted drug and gene delivery vehicles. C60 buckyballs are small enough to fit within a physical cavity in the HIV-1 virus. And once inside that cavity the C60 blocks replication of the virus. Thus, C60 is seen as an important potential weapon in the battle against HIV and AIDS. Among the other interesting biological properties of fullerenes is inhibiting the allergic response, affecting cells involved on phagocytosis, affecting platelet aggregation, affecting the native structure of DNA, impacting gene expression, affecting microtubules in cells, influencing cell mitosis and of course the really important one – potentiating hair growth. Mechanisms of action are generally poorly understood or not understood at all, although antioxidant action is given the biggest credit. The major context for studying C60 has been the development of new structural or semiconductor materials with extraordinary properties. For this reason, C60 is being manufactured in ever-increasing quantities. And there is concern that it is being released into the environment with unknown consequences. These factors have led many scientists to caution about possible biological impacts of C60. One known negative impact is that C60 cannot be used as a basis of a skin cream because when it is photo-excited it produces destructive singlet oxygen radicals. In general, there seems to be mixed evidence and little agreement about overall negative effects of C60. The C60-olive oil cocktail used in the rat longevity study is available commercially from several sources. It appears from popular blog comments that there is an emerging cohort of people who are buying this cocktail and using themselves as human lab rats. We don’t know whether these people will in the future be viewed as as long-lived personal health and longevity innovators or as reckless risk-takers who paid heavily for their self-experimentation. Most research publications attribute the health and longevity producing effects of C60 to its powerful antioxidant and membrane penetration qualities. I disagree. I doubt that antioxidant protection alone could lend 90% life extension in rats. Further, given that the super-aged rats lived long beyond the period of months when they were treated with the C60-olive oil cocktail and that C60 rapidly clears from the body, some long-lasting shifts in cell and organs must have been created. I hypothesize that other more-fundamental mechanisms are critically involved, such as C60 impacts on strengthening DNA, effects on microtubules or in the mitochondria and epigenetic impacts. These may well involve quantum-level phenomena largely ignored in biology up to this point. I believe we are so far fairly ignorant of how C60 exercises its health and longevity effects. If this is so, we may be on the verge of surfacing new biological mechanisms critical to health and longevity – ones unknown and unimagined until now. 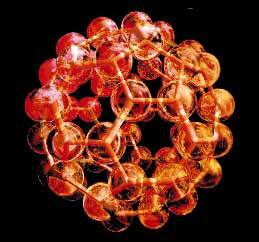 What is a C60 fullerene? There were several sub-studies reported in this paper. In the chronic toxicity and longevity sub-study, only 18 rats middle-aged were involved divided into three cohorts of six rats each: a) a control cohort fed normal rat chow, b) a cohort fed food plus olive oil by gavage, and c) a cohort feed the C60-olive oil brew by gavage (forced feeding). “The rats were housed three per cage and acclimated for 14 days, before dosing. Three groups of 6 rats (10 months old, weighing 465.31(10 months old, were administered daily for one week, then weekly until the end of the second month and then every two weeks until the end of the 7th month, by gavages with 1 ml of water or olive oil or C60 dissolved in olive oil (0.8 mg/ml), respectively.” All rats in cohort (a) were alive until week 18 of the experiment and all were dead by week 38. All rats in cohort (b). were alive until week 36 and all were dead by week 58. In cohort (c). all rats were alive until week 60 and all dead by week 66 (the last one being sacrificed at week 66). Between weeks 38 and 60 all the control rats were dead and all the C60-fed rats were alive and well. Olive oil alone produced a weighted average of 18% life extension while the weighted average for the C60-olive oil brew was 90%. Remarkably, no rats in cohort (c) contracted cancers. The study also investigated the pharmacodynamics and pharmacokinetics of C60 administration. “The results of this pharmacokinetic study show for the ﬁrst time that C60 is absorbed by the gastro-intestinal tract (Fig. 1). — In the case of highly hydrophobic drugs (Log P > 5) it is well known that the absorption of the molecules by the gastro-intestinal tract occurs via the mesenteric lymphatic system after association with developing lipoproteins in the enterocytes rather than via the portal blood . Therefore, as the octanol/water partition coefﬁcient of C60 is estimated to be 6.67 , the absorption of C60 occursvia the mesenteric lymphatic system rather than via the portal blood.” – “The elimination half-lives indicate that C60 is completely eliminated from blood 97 h after administration irrespective of the route of administration.” – “The elimination process follows a non-urinary route because unmodiﬁed C60 was not detected in urine samples taken up 48 h after administration. Previous investigations showed that C60 is mainly eliminated through the bile ducts  –. C60 has low toxicity and can cross the blood-brain barrier and may lead to many medical applications. Fullerene C60 might be useful for the treatment of Alzheimer’s disease. Fullerenes may enable new anticancer therapies via various mechanisms: one is as a carrier for conventional anticancer drugs; another is enhancing cytotoxic effects of chemotherapy drugs; another yet is based on the anti-cancer activities of the fullerene molecules themselves. Another publication, dated 2013, related to use of fullerenes for anti-cancer drug delivery is PEI-derivatized fullerene drug delivery using folate as a homing device targeting to tumor.You can also see (1007) Nanotubes, Nanorods, Nanofibers and Fullerenes for Nanoscale Drug Delivery. C60 compounds are also promising as delivery vehicles for drugs. C60 can enhance the cytotoxic action of chemotherapeutic agents against cancer through autophagy. See also the 2010 publication The polyhydroxylated fullerene derivative C60(OH)24 protects mice from ionizing-radiation-induced immune and mitochondrial dysfunction. C60 fullerenes have anti-viral properties and might be useful for preventing or delaying the onset of AIDS. C60 fullerenes exercise immunomodulary effects. A 2012 Russian publicationEffects of fullerene C60 nanocomposites on human platelet aggregationREPORTS: “The effects of fullerene C(60) nanocomposites on human platelet aggregation induced by ADP, ristocetin, and collagen were studied. The nanocomposite containing fullerene C(60) in polyvinyl pyrrolidone solution did not change platelet aggregation, while fullerene C(60) in crown ether and Twin-80 solutions inhibited ADP-induced platelet aggregation by 20 and 30%, respectively.” I do not know if the study was controlled to take account the effects of the solvents used. Less perspective be lost, it is important to keep in mind that the major interests in C60 relate to developing new structural materials and electronic applications. For these reasons C60 is currently being manufactured in industrial quantities measured in tons and there has been considerable concern about the biological impact of C60 and other fullerenes being released into the environment. Literature related to the toxicity of C60 comes to mixed conclusions. One the one hand, there has been much general concern about toxicities and long-term biological impacts of fullerenes. And theoretical studies strongly suggest toxic actions of C60 against DNA and other cell components. On the other hand, specific studies of C60 show few or no toxic effects on whole animals. Researchers caution against possible yet-unobserved long-term effects. Despite its apparent benevolence when ingested by rats, C60 and its derivatives solutions when photo-activated can produce singlet oxygen radicals which are biologically damaging. For example, see Photo-Induced Damages of Cytoplasmic and Mitochondrial Membranes by a [C60]Fullerene Malonic Acid Derivative. On the one hand, the photo-activation properties of C60 appear to make it toxic and dangerous for some aquatic species(ref)(ref)(ref). So, there is serious concern about release of manufactured C60 into natural aquatic environments. On the other hand, there has been thought of exploiting these properties in photo-based anticancer therapies(ref). “–fullerenes can effectively photoinactivate either or both pathogenic microbial cells and malignant cancer cells. The mechanism appears to involve superoxide anion as well as singlet oxygen, and under the right conditions fullerenes may have advantages over clinically applied photosensitizers for mediating photodynamic therapy of certain diseases(ref).” Photo-responsiveness of cells exposed to C60 can be fairly complex(ref). I cannot prove this suspicion; that will require further research. However I can cite arguments that tend to confirm my suspicion. (1) C60 is known to bind to and have impact on DNA. While the results of modeling studies indicate toxic effects on DNA, certain effects could possibly be beneficial. A 2011 publication DNA Exposure to Buckminsterfullerene (C60): Toward DNA Stability, Reactivity, and Replicationconveys a somewhat different story, indicating that fullernols not only have major impacts on the structures and biological properties of DNA, but also that they can contribute remarkably to DNA stability against thermal degredation. The general topic of nanopartucles binding is covered in a 2012 review publication Prospects of nanoparticle–DNA binding and its implications in medical biotechnology. This remains a very new and immature area of research. Right now it seems fair to conclude that C60 is very likely to bind to and interact with DNA/RNA, but the macroscopic outcomes of such interactions are unknown. There does seem to be contradictions between rodent studies that suggest no overall toxic effects of C60 and the molecular-chemical studies which suggest that C60 could play havoc with DNA. (2) C60 is known to affect the formation and durability of microtubules. I first discussed microtubules in my blog entry Quantum Biology. There I pointed out how some quantum biologists argue that there is yet-another role for microtubules – they are quantum computers possibly exercising command and control functions for cell processes. In fact it is known that microtubules are semiconductors as are certain arrays of fullerenes. However, the quantum computer role for microtubules remains controversial. 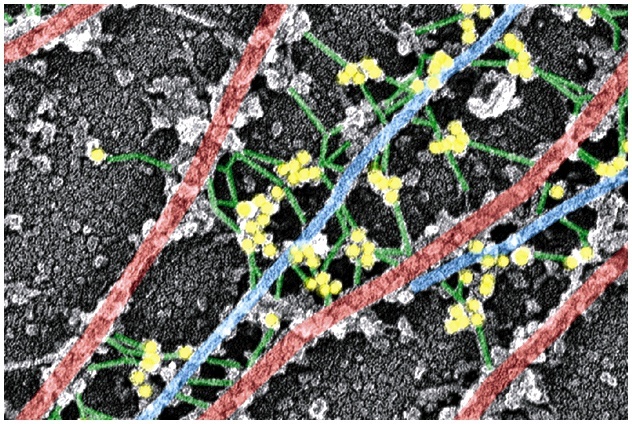 For now, it is enough to know that microtubules are important for cell structure and are main rail lines for transport of molecules within cells. The 2004 publication In Vitro and In Vivo Investigation of Collagen – C60(OH)24 Interactionargues that fullerole affects intermolecular communications from collegen fibers through integrines and microtubules to cell nucleus. A 2011 publication In vitro polymerization of microtubules with a fullerene derivative reports that a fullerene C60 derivative inhibits the polymerization of tubulin and therefore inhibits the formation of new microtubules. “Fullerene derivative C(60)(OH)(20) inhibited microtubule polymerization at low micromolar concentrations. The inhibition was mainly attributed to the formation of hydrogen bonding between the nanoparticle and the tubulin heterodimer, the building block of the microtubule, as evidenced by docking and molecular dynamics simulations. Our circular dichroism spectroscopy measurement indicated changes in the tubulin secondary structures, while our guanosine-5′-triphosphate hydrolysis assay showed hindered release of inorganic phosphate by the nanoparticle. Isothermal titration calorimetry revealed that C(60)(OH)(20) binds to tubulin at a molar ratio of 9:1 and with a binding constant of 1.3 ± 0.16 × 10(6) M(-1), which was substantiated by the binding site and binding energy analysis using docking and molecular dynamics simulations. Our simulations further suggested that occupancy by the nanoparticles at the longitudinal contacts between tubulin dimers within a protofilament or at the lateral contacts of the M-loop and H5 and H12 helices of neighboring tubulins could also influence the polymerization process. This study offered a new molecular-level insight on how nanoparticles may reshape the assembly of cytoskeletal proteins, a topic of essential importance for illuminating cell response to engineered nanoparticles and for the advancement of nanomedicine.” An in-vitro result, it suggests the opposite of a health-producing effect of C60 on microtubules. Again, the interactions of C60 with cell microtubules and their creation and destruction appear to be not well understood. It seems such interactions do exist. Although modeling studies suggest that the macroscopic results of such interactions may be toxic rather than health-producing, we just don’t know for sure. (3) C60 buckballs cross cell barriers and preferentially localize themselves in mitochondria. There, they exercise powerful antioxidant effects and possibly other effects as well. Does C60 do more in the microchondria than act as a super anti-oxidant? Or does the super antioxidant power of C60 create permanent changes in the mitochondria? If the research literature is indicative, no one has so far grappled with these questions or even asked them for that matter. I could quote and discuss here only a small but hopefully representative sample of the unfolding literature related to C60 and its biological impacts. The rodent longevity studies are tantalizing but tiny and hopefully will be soon followed by much larger ones. There appear to be some basic contradictions and many more basic questions are raised than those answered. For rodents at least, far from being toxic pure C60 appears to be not only benevolent but life-extending. On the other hand, mostly-theoretical studies of the likely impacts of C60 on DNA and on microtubules and cell morphology suggest that C60 may generate all kinds of havoc on the cell level. Without question C60 is a powerful antioxidant. However it tends to generate permanent longevity-enhancing changes and it is not at all clear how an antioxidant could do that? How does it work to so grossly extend longevity? Are there other means through which C60 works its health and longevity benefits, and if so, what are they? The literature references I have been able to surface seemed to focus on the lipid membrane and antioxidant and other chemical properties of C60 – mostly 1990s ways of looking at biological mechanisms which are valid but limited. The research literature so far seems to be remarkably silent on certain issues that could turn out to be key: C60 and DNA methylation, impacts of C60 on histones, C60 and the DNA repair machinery, C60 as related to stem cells, C60 and siRNAs, and C60 as related to key known aging pathways. It the longevity impacts of C60 hold up, there are important layers of knowledge here yet to be revealed. If this were an archeological dig, we have so far only gone down a foot or two. Vince, thanks for this work. I’d like to comment on the molecular dynamics simulation that suggests c60 might deform or destabilize nucleic acids. I’m no stranger to MD, and have looked over this paper. I believe the simulation is flawed. It appears that the initial model was built in a high energy configuration and improperly relaxed. In addition, the electrostatic model leaves something to be desired. In comparison with the in vitro and in vivo work, this simulation should not be relied upon for predictive information. Thanks for your comment. I too experienced some skepticism when I reported that simulation study. The results did not seem consistent with the in-vivo and in-vitro findings. This is one of the most counter intuitive results I have ever seen. Even the sub-results are bizarre — olive oil, by itself, extends a rat’s life by 18% !! and the absence of cancers in the experimental group. (2) aging is evolutionarily conserved and programmed. Somehow, fullerenes jam the mechanism and extended good health results. Nit picking. You mentioned “quantum effects” as a possibility to explore. I wondered what the heck you meant — so I went back to your previous blog on quantum effects. I think here one has to be very careful about what are the observables that you want to measure. Consider DNA and the arguments about the correlation energy and the information content. Presumably we want to determine every base pair in a finite length of the molecule. Correlations would matter if in the measurement time there was a reasonable probability (say 1 in a million) that we would measure A instead of G, when classical physics says that G is the expected answer. I don’t see that the correlated motion of the electrons beyond Hartree-Fock is going to make any measurable difference for any remotely reasonably stated precision in a finite time. Now if the position of the electrons are your measurable — then correlated motion is clearly important and so is entanglement. I think that entanglement for the base pairs went out the window — when you said you were going to ignore quantum effects that lead to bonding and so forth. All the usual disclaimers. Glad you commented. I completely agree that the results of the rats longevity study are remarkable. So much so that I initially suspected that the piece was an attempt at humor. I expect to be hearing from others who are replicating the experiment on a larger scale. (6) changes to mitochondrial DNA, such possibly as weeding out of mutated DNA which tends to accumulate with aging. All speculation as of now. Much more real research is needed. With regard to your “nit picking,” good comment. As pointed out in the Quantum Biology blog, researchers have found entanglement among DNA nucleic acids even at room temperature. And quantum coherence plays a role in photosynthesis and other biological processes. And there is a group of apparently serious guys like Penrose and Hameroff who think microtubules function as quantum computers. This is not a mainline view. However, we know from research that C60 enhances the torsional stability of microtubules and has other impacts on them, so if the view is correct there could be some quantum effects. I see this as an outside possibility but one that should not be ruled out now. Betty Botter brought a batch of buttered buckyballs. Betty Botter brought the buttered buckyballs to make her bedridden Basque boyfriend bad behavior better. Betty Botter’s Basque boyfriend’s brains were bedeviled by bitter bickering banshees. Betty Botter baked the buttered buckyballs in broccoli biscuits. The buttered buckyballs in broccoli biscuits made the bickering banshees benign. Betty Botter’s Basque boyfriend benefitted from the buttered buckyballs in broccoli biscuits and became better behaved. I fleetingly thought of this as a new biomarker for neurological functionality. Saying the ditty three times rapidly without stumbling gives a score of 10. Each stumble reduces the score by 1. Hi Vince, outstanding work as usual! Do you know if there is an explanation for why the 2009 publication “Autophagy-mediated chemo… nanocrystal” reported C60 had “considerable toxicity towards normal cells”? It seems to conflict with a lot of the other studies. Was the C60 prepared or administered differently? – C-60 particles dissolved in water appear to have demonstrable toxicity to water-based organisms living in such water. – the reports on water-based C-60 publications on cell toxicity seem to be mixed. Some publications suggest that there is such toxicity but other publications describing research where they set out to measure such toxicity report finding none. – There are no reports so far on toxicity of lipid preparations of C-60 such as the olive oil-buckyball preparation used in the much-quoted rat longevity experiment. That experiment was actually designed to find and measure toxicity and found none. There is much still to be learned about the biological impacts of C60. Good day Vince and all, has anyone tried using a much safer form of water soluble Hydrated Fullerenes C60 already approved for human use in many countries. Some of the toxicity citings is due the solvents used to created the C60 however this patented model offers a safe for for external application and internal consumption. Many have used the concentrate and the maintenance dosing is a 500ml oc concentrate 2 x per year. I would like to know which C60 you all are using and why the Olive Oil method? Related to hydrated C-60 Fullerenes, there is the interesting presentation cited in jz99’s post listed below, apparently by exponents of the hydrated C-60 nutraceutical supplement. In my perception at least, this supplement has been little-known in the US, so most attention has been on the extra-virgin olive oil C-60 mix used in the experiment which seems to show radical life extension in rats. Until recently, hydrated C-60 was something potentially very relevant to my health and longevity interests, but was something that I did not know existed. Lowering IGF-1? Increasing HDL? Increasing fluffy LDL? Decreasing Uric Acid? For me Alternate day fasting has results a lab can verify. Much of what is hyped fails to measure up. Even changes in protein intake as a percent of calories has a lab result. What about C-60? I have read about C-60 for electronics. I wonder if the C-60 might work on the Electron Transport Chain in the endoplasmic reticulum in the mitochondria of cells. An alternative might be an up or down regulation of DNA? Seems like something to look into. Also a screen of the usual aging suspects might tell something. IGF-1 should be lower? Insulin? Glucose? Repeat the study with more animals in other labs? And I agree those other usual-suspect aging indicators need to be looked at and what is most needed is confirmation of the extraordinary longevity results by other labs. Thanks again jz99. for some reason this comment of yours needed my approval to be posted. I will have a serious look at these. Thanks for citing this very interesting presentation. It seems we are just at the first stages of understanding the actions and potentials of nanoceuticals, including various C-60 preparations. It appears that the Ukranian authors have studying hydrated C-60 for some time, way ahead of us here in the US. Jim Watson and I have a new blog entry on nanoparticle delivery of drugs and health-inducing phytosubstances now in the works And I should probably soon produce another updated blog entry focused just on C-60 research. Thanks for your reply and the posts that you and Jim have put together on the site. It’s quite interesting and looks promising from my preliminary reading. I do wonder about the extent of effect on the human microbiome from hydrated C60 which has a different recommended dosing schedule (something like 20 days and then a break and repeated only 3-4 times a year) which would theoretically give the digestive system a chance to recover if there is a negative impact. Comparatively, those who have decided to gamble with the C60 olive oil preparation appear to be re-administering daily (granted there are no major self-reported health concerns), may have different populations of microbiota if it does have a suppressive effect. What interesting questions you raise – the impacts of hydrated or olive oil C-60 on the gut biome, what the gut biome does to C-60 preparations, and the health impacts thereof. It is amazing how much we don’t know. True, near as we can tell there seem to be no reported negative effects from self-dosing on EVOO-C-60. And, given that rats live normally around two years, it may be a couple of years more before we learn whether the extraordinary longevity impacts observed in a few rats due to EVOO-C-60 dosing are indeed duplicable. The most interesting angle on continuing research that I am curious about is “human trials,” if any have been conducted.